The Nike TiempoX Lunar Legend VII Pro 10R Indoor/Court Football Shoe combines responsive foam cushioning and a premium leather construction for dominating touch when playing on court surfaces or indoors. Signature 10R details celebrate Ronaldinho's success in storied football cities throughout his career. 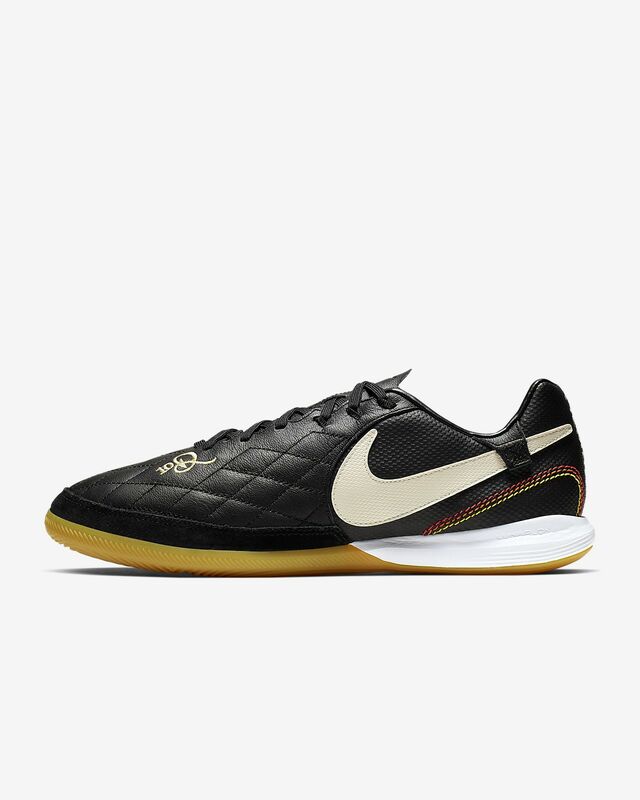 The Nike TiempoX Lunar Legend VII Pro 10R Indoor/Court Football Shoe combines responsive foam cushioning and a premium leather construction for dominating touch when playing on court surfaces or indoors. Signature 10R details celebrate Ronaldinho&apos;s success in storied football cities throughout his career. Have your say. Be the first to review the Nike TiempoX Lunar Legend VII Pro 10R IC.